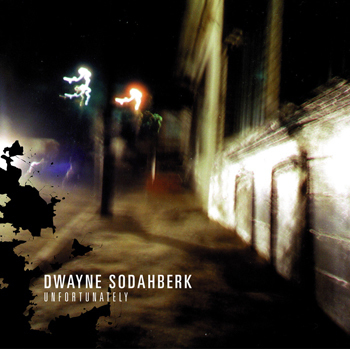 The excellent third release and second full length album by Dwayne Sodahberk for Tigerbeat6 represents one of the label's most fulfilling forays into modern pop music. Sodahberk gives 'Unfortunately' a warm, analog glow through digital thumps, tweaks, and textures. His cutely aggressive pitters and patters contrast with the emotionally charged noisy bits and adjoin intriguing melodies, gorgeous vocals, and solid structures. This blend of indie poptronics and post-rocking electro is a well balanced soundtrack for dawn to dusk. Beside the folky pop of "Bird," and the rather beautiful, vaguely '60s-flavored title track, there's room for electronic and noisy pieces like the dark "Christa," dsp-electro in "No fun," and the stiff, desolate clavinet-funk of "If i could tell you" and "almost cliché." Lovely.